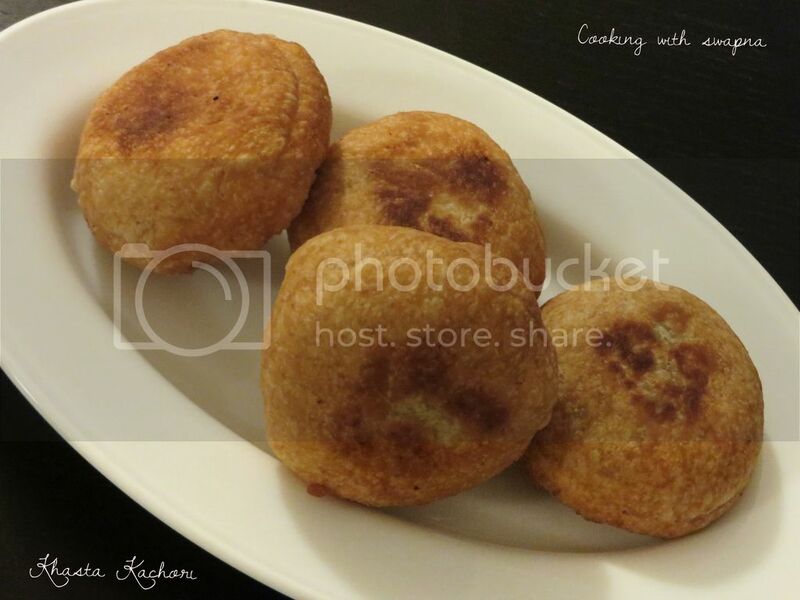 Khasta kachori is the favourite snack and most popular North Indian street food. 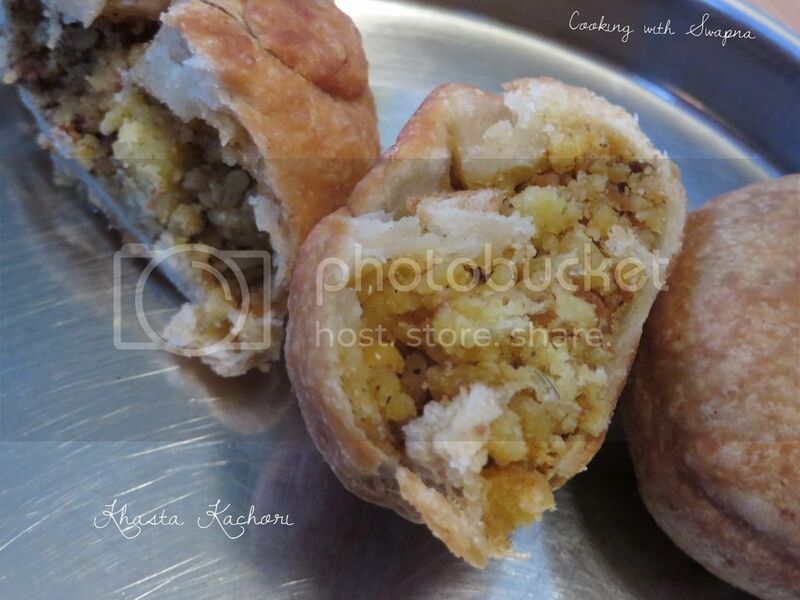 This is can be done in different style both sweet and savoury. 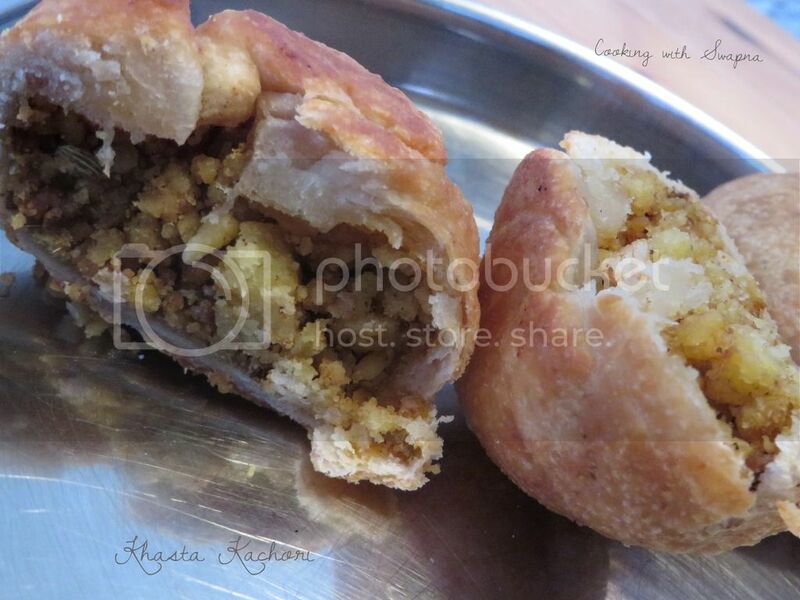 This deep fried puff pastry taste great with tamarind chutney and green chutney. 1. Mix together flour, salt, ghee, rava and water. Knead the dough and cover it with wet cloth for 1 hour. 2. Drain the soaked moong dal and grind it coarsely without water. 3. Heat oil in the pan, add cumin seeds, fennel seeds, ginger, green chillies, hing, grounded dal, garam masala powder, dry mango powder and salt to taste. Saute for few mins. 4. Take a golf ball sized dough and flatten them using the rolling pin. Stuff the filling and roll them again like a flat disk. Deep fry them over a medium heat till golden brown in either sides. Serve warm with tamarind chutney.